Video marketing is a fun way to get the word out about your store, promote new items, and attract new customers. Producing videos is no walk in the park, though – cuts, edits and pizzazz take time. Animoto is a service that tries to make slideshow videos a simple matter of uploading files, picking music and hitting go. Promoting your Etsy shop too often feels like being chained to the oars – why not have some fun instead? 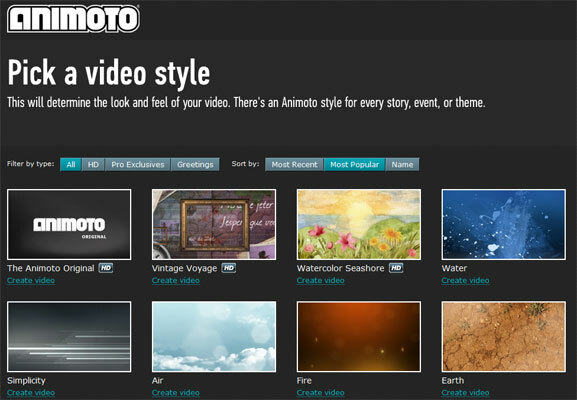 Tag along as I explore Animoto’s free 30-second videos. After a quick sign-up on Animoto, you can create your first video. The first step in the video creator is to pick a style, the graphics and transitions that will showcase your photos. Steer clear of the PRO styles if you’re trying out the 30-second free videos, those are available only to paid members. Browsing through the sample videos to choose a style is a lot of fun and gives you an idea of other uses for Animoto videos. I picked The Winding Vine since it matched the whimsical theme of my items and isn’t so flashy that it takes the focus away from the products. 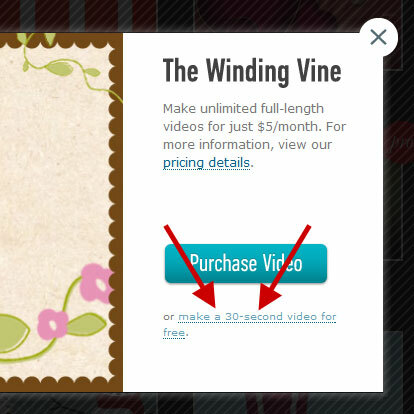 Make sure to select the “make a 30-second video for free” option from the style pop-up – it’s the tiny text at the bottom! 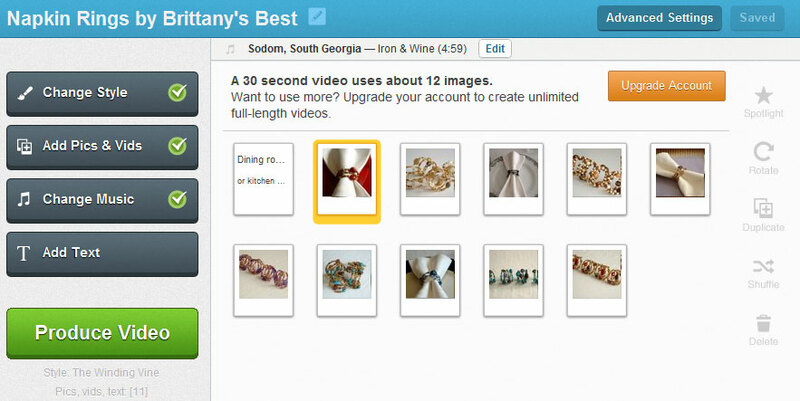 Choosing the 30-second option will drop you into the Animoto Video Creator, where you can add photos. Animoto lets you go hog wild and add as many as you like, but be careful – only about a dozen will make it into the free video. Choose wisely! The “Retrieve from Facebook” option for importing pictures doesn’t work for Facebook Pages, so I opted to upload product images from my computer. Drag the images to rearrange the order they’ll appear in the video. 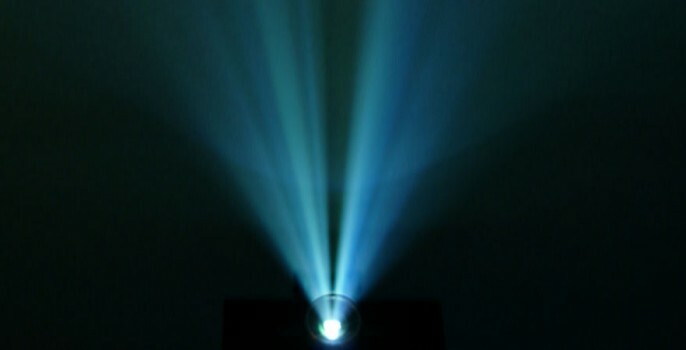 If you select a photo, you can also use the Spotlight option on the right to hold an image in the video longer than normal – a great option for highlighting your best product. The “Add Text” button lets you add a text blurb like in many of the example videos, but I’d advise using it sparingly since it takes time away from your photos. 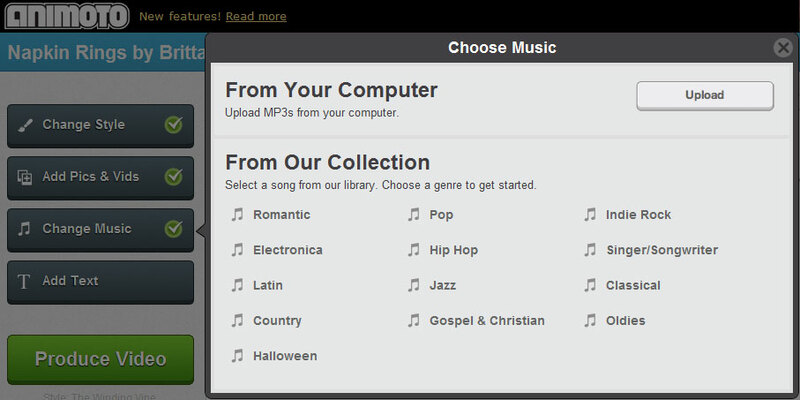 The last design step is to choose your soundtrack. 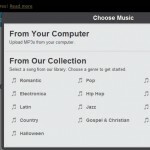 Animoto has a good collection of music to choose from, or you can upload your own music if you have the perfect song in mind. The music doesn’t need to be elaborate for a 30-second video, but you should pick something that flows well with the slideshow and matches up with the style of your products. Animoto was lacking in instrumental songs like I wanted, so I uploaded a nice little ditty by Iron & Wine. Make sure that any uploaded songs don’t cut off in a strange place right at the 30 second mark! Make sure to visit the Advanced Settings button in the upper right before pulling the trigger; it contains options like the video title and description that will appear on the final output. Once you’re happy with the video setup, click “Produce Video” and it’s off to the races! 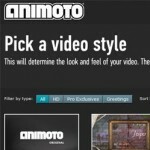 Animoto’s automated video slaves start producing the video behind the scenes. 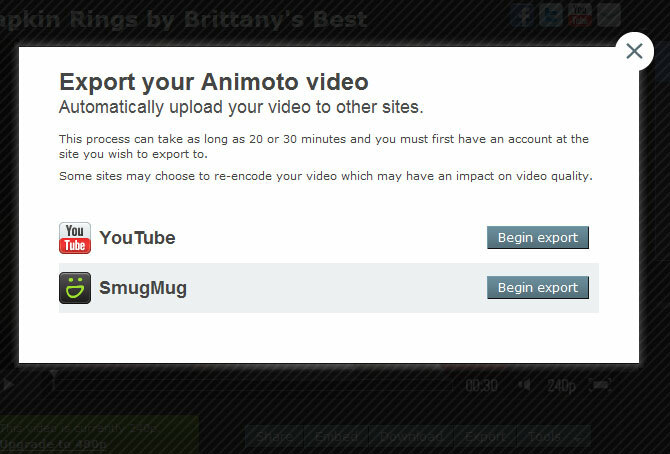 It’s not an instant process, but Animoto will send you an email when the video is complete. The completed video is hosted on a page by Animoto that you can share, post to Facebook and most importantly – export to YouTube. The Animoto page is attractive, but so many places integrate with YouTube that the export option is a killer feature for embedding in blogs and web sites. Not to mention YouTube is one of the most-searched sites on the internet – a little extra exposure never hurt anyone! Marketing is tough, so it’s important to give yourself a little break and have some fun trying out new ideas. Video is much more engaging than static images when done tastefully. Inc Magazine has a great article on how video can help people find you if you had fun with Animoto and want to dive deeper. What else might you do with a classy 30-second video? 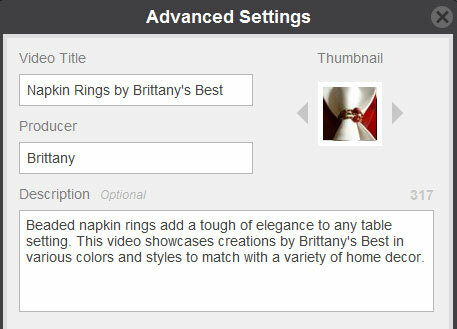 Animoto is working the holiday angle, adding several free winter-themed styles recently. It could be a fun way to sum up the year in photos for family and friends, or to send out your favorite pictures from the holiday party. Now I’m starting to sound like an Animoto salesperson. It’s too fun! Cover image by RVWithTito on Flickr. Can I link my animoto video to my etsy shop? You can send it to YouTube and put the link to your Etsy shop in the comments. You can also have your link in the description of your Animoto video.